How do conversations go with people who have different passions than you? Do they get your passion or does it totally baffle them? Running has grown to be my passion over the past 5 years. It doesn't define me as a person, but it is a regular part of my day (like brushing my teeth) and God has used it to change my life in ways I never expected. 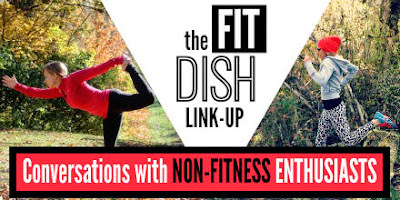 I feel right at home with fitness-minded people but some of the conversations I have had with non-fitness enthusiasts are interesting... and awkward at times. I can see where they are coming from. Actually enjoying exercise is a strange concept for some people. For me, exercise is something I feel passionate about because it has been a lifelong habit but habits do take time to form. Each person has their own "thing" and that's what makes life fun. Wouldn't life be boring if we were all carbon copies of each other? Sometimes I have wondered why I'm such a running weirdo and why God made me with this specific personality. Psalm 139:14 is a reassurance that God has made me the hyper-driven and passionate person I am for a reason and I can glorify Him, even in my weirdness! As I mentioned above, everyone has their thing and I have no problem with people who aren't enthused with fitness. Sometimes it is hard to understand another person's passion which makes for some interesting conversation. 1. How do you find the time to workout? 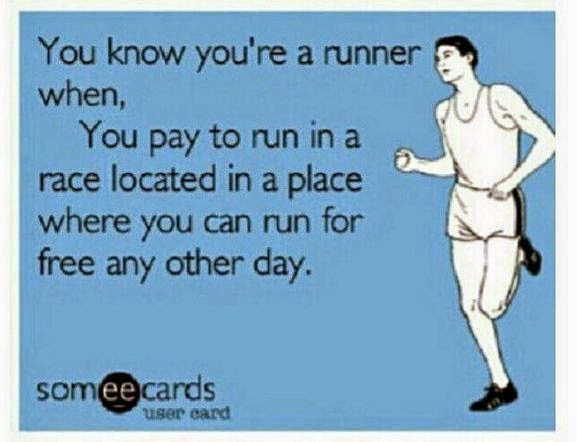 I do my best to fit in a run around 5:30 to 6:30 am or, if it doesn't happen in the morning, I will workout on nap-time or after bedtime. Our son has taught me to be much more flexible with each day's routine - so not like my type-A tendencies! Finding time to workout means being disciplined and just making it happen. I am definitely not up at 5:00 am every morning because, hey, I like sleep - especially in this pregnancy! Some mornings I get crazy and sleep in until 6:30. 2. 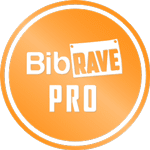 Why would you pay to run a race? Some people spend their money going to concerts, getting their nails done or buying video games. I'm not really into those things so I will stick to running races. 3. You're going to quit running for the baby, right? Quick Answer: No, I'm going to keep running for the baby. While running pregnant, I do cut down my mileage and intensity significantly because it's what works best for me. Example: Instead of super long runs and speed workouts, I run 3 to 4 miles four days a week at whatever pace I feel like. No preggo marathons for me - just a personal preference. Long Answer: Though running and exercise in general are proven to be good for both mother and baby, running has a bad reputation in some circles. In the second trimester of my first pregnancy, an older woman asked me if I was going to quit running... you know, for the sake of the baby. Had I been eating an entire package of Oreos every night, she wouldn't have questioned me. But continuing to exercise while pregnant?! How horrible! Contrary to some of the population's belief, pregnancy is not a disease. Running and exercise do not cause preterm labor. Actually there are many benefits from exercising for both for mom and baby! 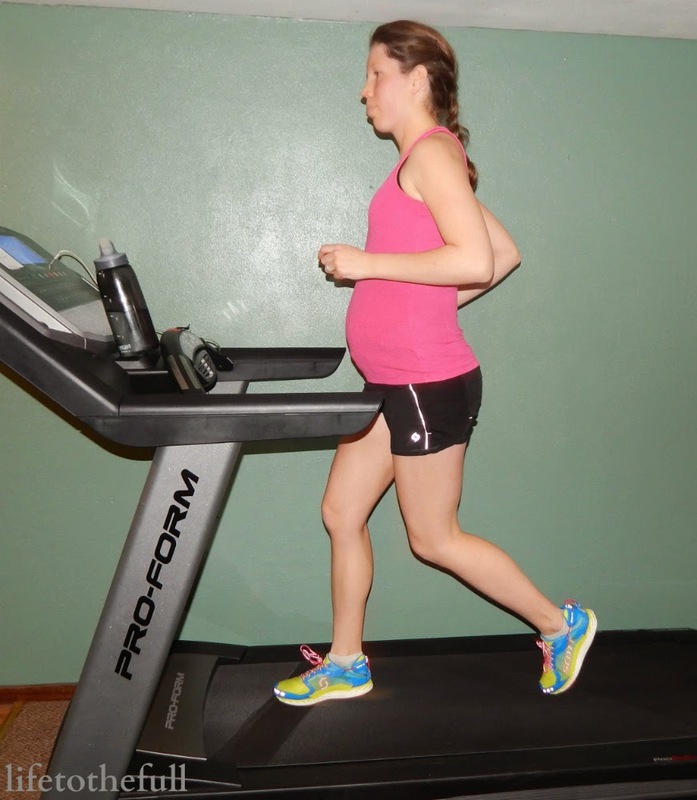 Check out this article for more information: Running During Pregnancy. 23 weeks with Baby #2! What is the most popular fitness-related question you have received? So glad I could encourage you, Heather! 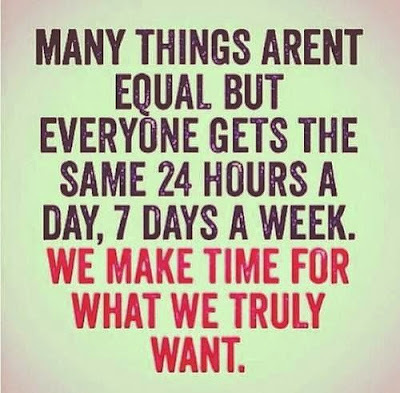 "We make time for what we truly want" YES! Love this. That's one of my favorite quotes! It's so true. Look at you! I am glad you are still running! As long as you feel good and the doc is happy with you- keep on keeping on! Good for you! Good info on running during pregnancy. I don't have kids yet, but we plan to try for kids in the next year. This is helpful. Thanks! Glad I could help you out, Bri! Amy, I loved this post. So well thought and well said. And you are amazing at weaving biblical quotes in...it proves what a steadfast reader you are. Ok, amen to those questions, and the quit running while pregnant worries. Loved the oreos comparison....ahaha....so true. I loved running when I was pregnant, especially outside. I am so happy I did it. Keep up the amazingness, you look great! Isn't the Oreo comparison sad but true?! Thanks for the encouragement, Jessica! True! I love working out on Saturdays when my husband is home. Less pressure to get up early in the morning and so much less rush!